As of January 2011, Clearwire offers WiMax-based 4G connectivity in nearly 71 cities across the United States. As a resident of the San Francisco Bay Area, I did not have reliable coverage until Clearwire turned on the lights towards the end of December 2010. Since then, I have had a chance to put the Rover Puck, an eight person mobile 4G hotspot, to the test. I even took it with me for my four-day long trip to the 2011 Consumer Electronics Show in Las Vegas, which is also a 4G zone. Although the Clearwire network and the Rover Puck are relatively unknown to the mass market, I found impressive results after a few days of use. While advancement of mobile hotspots eased the hassle of having to download and install drivers for USB mobile broadband modems, configuration was still confusing for many. After a few years of maturing, getting started on devices such as the Rover Puck has become incredibly easy. The packaging includes an AC wall adapter and a car charger. The hotspot uses a standard micro USB port for recharging and the bundled cable plugs into either of those power sources or even into a laptop’s USB port. There’s a power button at the top left to start-up the device and another button to check signal strength check on the top right. Once booted up, a ((PUCK * ROVER)) network should pop-up on your WiFi-enabled laptop’s list of available networks. The default password is on the back of the device and can easily be changed later. Once connected, just open a browser window and you will automatically be directed to an activation page. After creating an account and logging in, you will be browsing the web in just a few minutes. While most people can get started with the Puck right away, the tech savvy geeks may choose to head over to the advance web interface for customizing their device further. The Rover Puck is essentially a full-blown router with an incredibly good-looking web interface. Even some high-end home routers don’t have configuration pages that are as intuitive and well-organized. Typing http://puck into a web browser, when connected to the hotspot, brings up the router configuration page. In just a few minutes, you can set a stronger router password, pick a new time zone, select a new network name, change the security type (WEP, WPA, or WPA2), set a new password, or even enable MAC address filtering. Unlike other mobile hotspots I’ve used, the Rover Puck supports 802.11 ‘n’ in addition to ‘b’ and ‘g’ protocols. 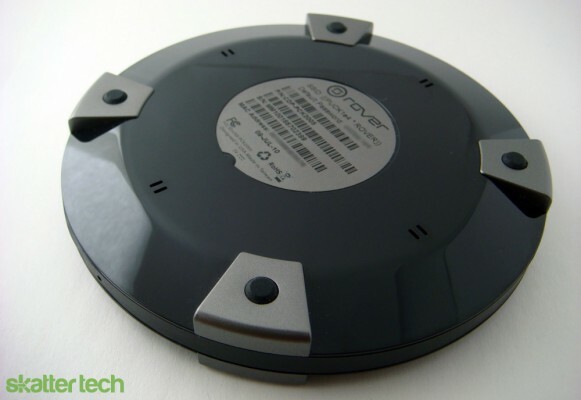 Like the HTC EVO 4G, the Rover Puck allows a total of eight users to simultaneously connect. For the paranoid who do not want to share their main hotspot password with others, there is a Guest Zone mode which can either have a different password or left open to everyone. The web interface also offers live statistics about incoming and outgoing traffic, signal strength, data consumption, and battery life. If you would like to throttle certain computers or types of data, there are even built-in Quality of Service and Traffic Shaping controls. 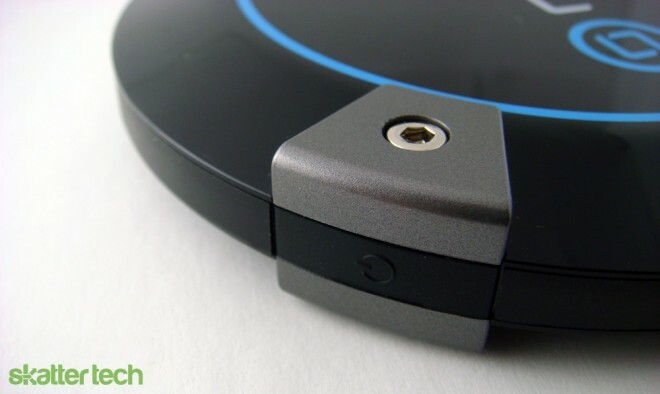 While some mobile hotspots are nothing more than a simple black box, the Rover Puck looks absolutely stunning. As the name implies, it looks just like a hockey puck. The body is quite glossy, which unfortunately makes it a fingerprint magnet. Scuff marks are also somewhat visible, but if maintained carefully, it will always standout. When I had it out on a table at conferences or at coffee shops, people would just about always ask what it was. In addition, it seems robust enough to last through a few years of wear or tear, which is about when you will upgrade to a new technology anyways. As for battery life, since the Puck is a dedicated hotspot with no other extra features that drain power, it lasts up to 4 hours on a single charge. I mainly used it for casual web browsing, blogging, uploading some photos, checking emails, and chatting. However, the lifespan can greatly vary if coverage is spotty or if there’s heavy data transfer. I also noticed that the Rover Puck getting fairly warm at times, but that issue is common to most mobile hotspots. While I was happy with the Puck for the most part, there was one thing that was missing: a display. The Sprint 4G Overdrive, which also runs on Clearwire 4G, offers a neat little LCD display that shows off the current network name and password. On the other hand, the Rover Puck has a default password printed on a sticker underneath. While visiting the web interface for information about the Rover Puck isn’t too difficult, having a display that shows off details such as the amount of credit left in your account could be quite handy. I used this device for about three days in San Jose, CA and four days in Las Vegas, NV. Although these are both 4G (WiMax) cities, coverage was still quite spotty. Simply moving forward a few yards in San Jose would completely drop all signal. In Las Vegas, tall buildings posed a major issue. I also found that 4G didn’t fair too well indoors compared to older 3G networks. There’s also another very important feature that the Overdrive lacks: 3G backwards compatibility. While most 4G devices such as the Samsung Epic 4G or the Sprint 4G Overdrive have backwards compatibility for 3G networks, the Rover Puck only runs on Clearwire WiMax. This means that the Rover Puck will be entirely useless if you are in an area with spotty coverage or a city that doesn’t have 4G yet. If you constantly travel to new cities, be sure to check whether there’s 4G coverage before you pay to enable your device for the day or week. Also, for those wondering, Sprint’s 4G network runs on Clearwire. Therefore you should have nearly identical speeds whether you are using a Rover Puck, Rover Stick, or a Sprint 4G device. Unlike traditional carriers such as AT&T, Sprint, T-Mobile, or Verizon Wireless, Clearwire offers the Rover Puck with a “pay-as-you-go” model. There are no required two-year contracts or any other type of commitment. Instead of paying per an amount of data, users pay for usage time. There’s a $5 per day, a $20 per week, and a $50 per month package. All packages include unlimited data. Once you get a device, you will need to “re-up” (aka. reload) your account with credit to get online. In comparison, Verizon Wireless requires a contract and charges $50 a month for 5 GB and about $80 a month for 10 GB of data. Even Sprint requires a contract to pick up a 4G Overdrive and charges $60 a month for unlimited 4G data and 5 GB of 3G data. The Rover Puck offers more flexibility and freedom for those that don’t need to use the device every day. If you are anything like me, I may only need mobile broadband for a handful of times each month. I would rather pay $5 a few times when needed over an expensive reoccurring monthly charge. Since the Rover Puck is not subsidized with a contract, customers will need to pay the full $150 for the hardware. In my opinion, that’s better than having the weight of a two-year commitment on my back. It’s also better than having to pay an early termination fee to cancel before the contract ends. 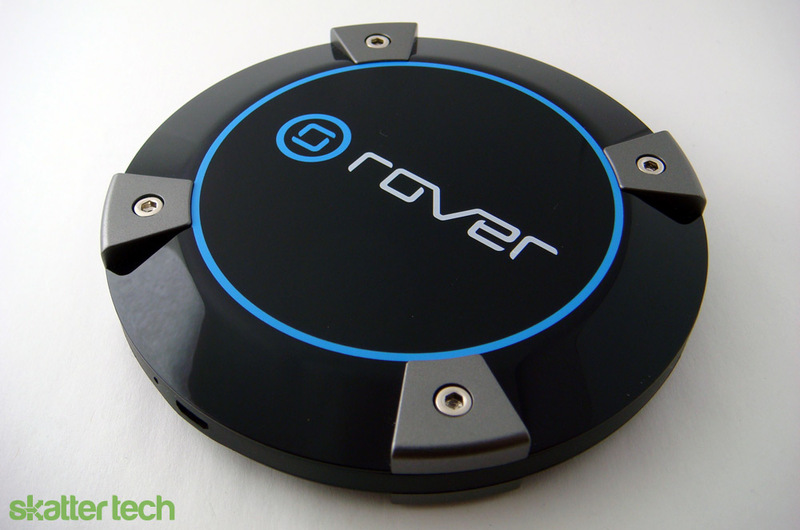 When it comes down to deciding between the Rover Puck and another mobile hotspot, there is essentially only one question you need to answer. Will you always be in a Clearwire 4G area? If the answer is ‘no,’ you probably want a device that also supports 3G networks. Considering that most new Android smart phones offer a mobile hotspot feature, there is a good chance you may not even need one of these. Both Sprint and Verizon only charge an extra $30 per month to enable the feature on devices such as the Droid X or HTC EVO. For those without a 4G-enabled smart phone, the Rover Puck makes for a great buy, especially since it offers the flexibility to pay only when needed.